NCM Pension Portfolios utilizes a pension style approach to investing targeting long-term growth and wealth preservation. The portfolios invest globally to achieve sector and geographical diversification. What is Pension Style Investing? Pension style investing brings together multiple investment management strategies and uses them to provide one ticket investment solutions. NCM has developed this mandate to provide more options for Canadians to help reach their wealth goals. 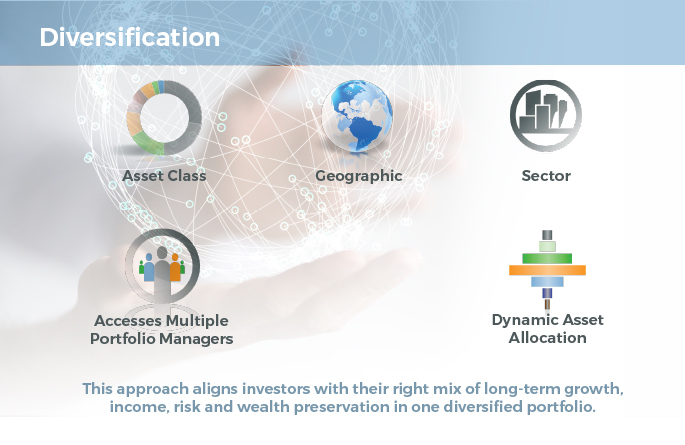 NCM Pension Portfolios are multi-asset portfolios that provide asset class, geography, and sector diversification. Plus, multiple Portfolio Managers that are experts in their sector and a tactical asset allocation model, all in one portfolio. This model is very similiar to some of the most sophisticated pension funds in the world. NCM Pension Portfolios are based on investor's unique needs for wealth preservation, income, and long-term growth. T6 and F6 Series are available for monthly income options.